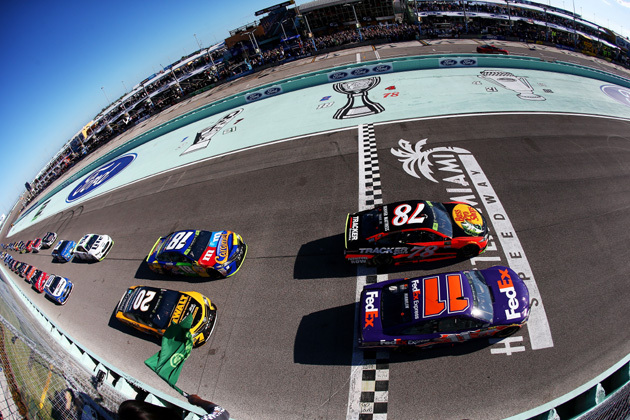 The 2017 Monster Energy NASCAR Cup Series race at Homestead-Miami Speedway Sunday (11/19) was the last race for Dale Earnhardt Jr. and the first championship for Martin Truex Jr. as the season ended. 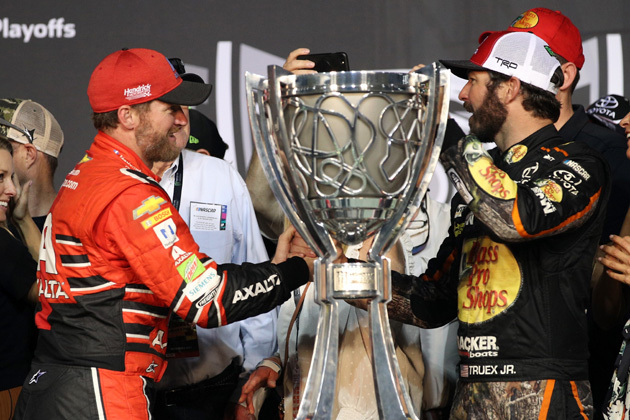 Dale Jr. announced earlier this year that he would retire from full-time racing in the NASCAR Cup Series at the end of this season. 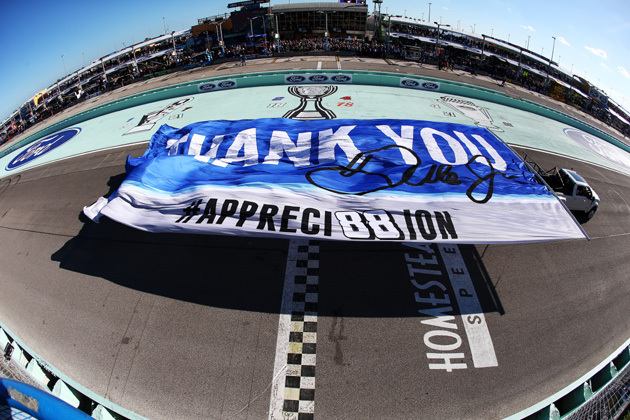 Yesterday’s Ford EcoBoost 400 was the final race of the season bringing the career of the winner of the NASCAR Cup Series Most Popular Driver Award for the past 14 years to an end. 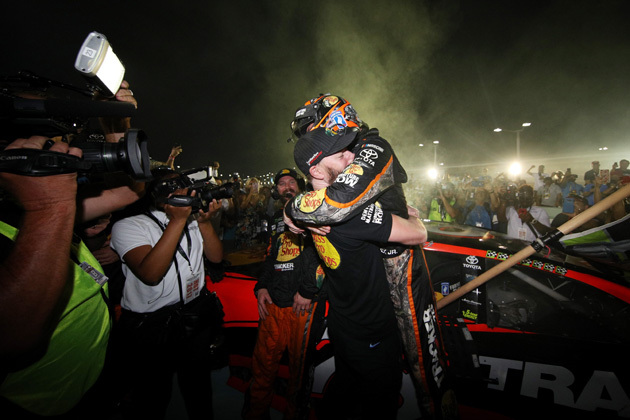 While Dale Jr. did not have a great final season or race, he did complete every lap of his final race. He parked his #88 Chevrolet on pit road at the end of the race where his team members joined him and they sat and talked while enjoying a few beers together from the coolers they brought out with them to meet Dale Jr. at the end of the race. Thanks to Dale Earnhardt Jr. for all of the memories during his career. Danica Patrick’s full-time NASCAR Cup Series career also came to an end with this race. Matt Kenseth doesn’t have a full-time ride for the 2018 season at this point and the race could be the end of his career as well. 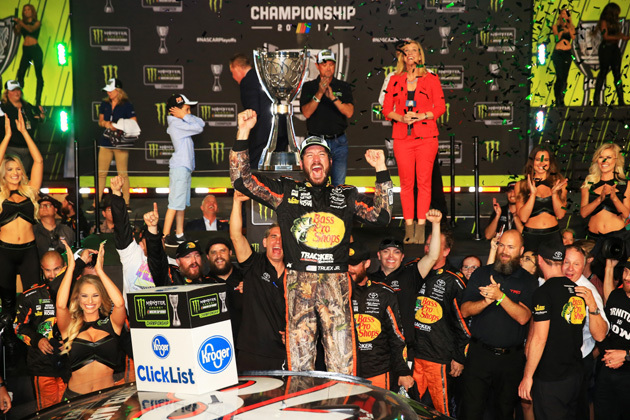 Of course the big story of the race was who would claim the 2017 Monster Energy NASCAR Cup Series Championship? 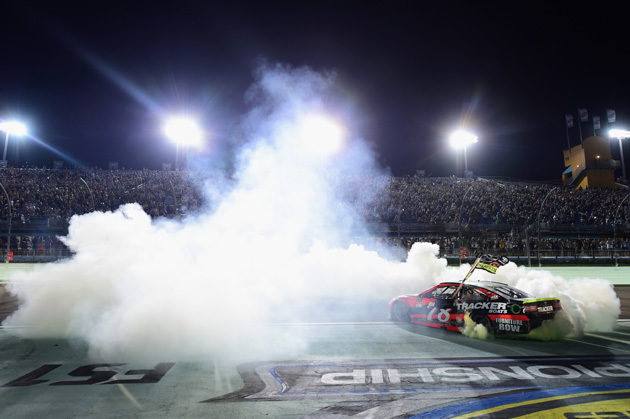 Martin Truex Jr., Kyle Busch, Brad Keselowski and Kevin Harvick all started the race with a chance to win the title. There were only four different drivers that led the race and exchanged that lead a total of 13 times. 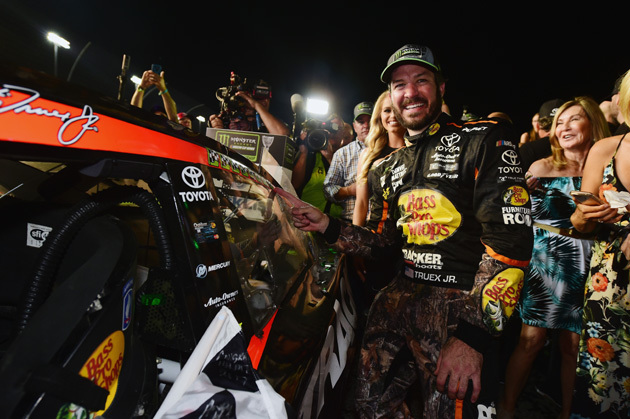 Three championship contenders were among those four race leaders; Martin Truex Jr., Kyle Busch and Brad Keselowski. The fourth driver to lead during the Ford EcoBoost 400 was Kyle Larson who led a race high 145 of the 267 laps of the race. Kyle Larson was the winner of the first two stages of the race. All four contenders were near the front many times during the race. 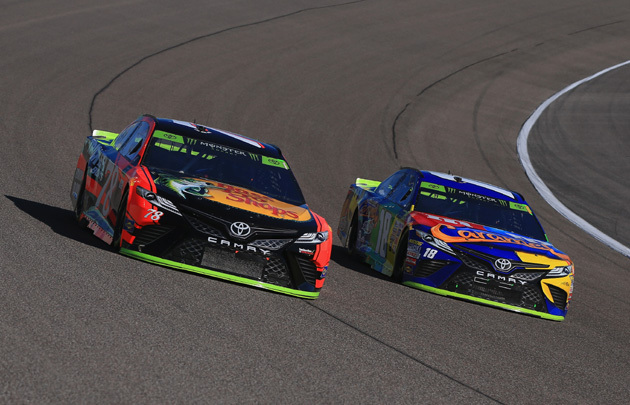 However, as the laps ran down it was obvious that the battle for the championship would come down to just two of the drivers, Martin Treux Jr. and Kyle Busch. 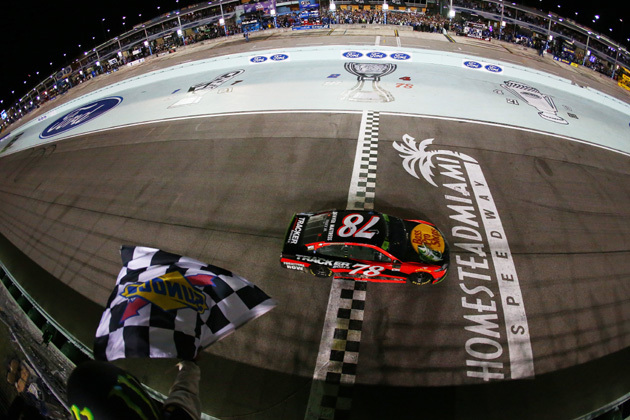 Martin Truex Jr. took the lead from Kyle Busch on lap 217. When the race’s fifth and final caution period came out on lap 229. On the re-start Martin was able to race out to the lead while Kyle Busch was shuffled back a little bit in the pack. With the laps winding down Kyle had to fight his way to the second place position where he began to run down the #78 Toyota leading the race. 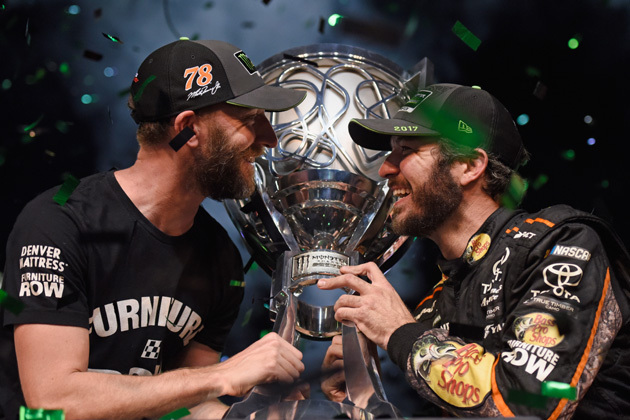 Martin was able to hold Kyle off in the final laps and win the race and his first ever championship in his career in NASCAR’s top division. The race win and championship was the perfect ending to a career best ever season for Martin that included eight wins. Kyle Busch finished the race in second place with Kyle Larson in third place. 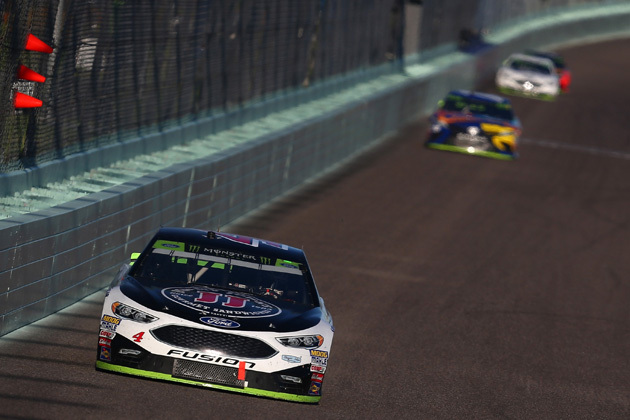 Kevin Harvick claimed a fourth place finish in the race with Chase Elliott rounding out the top five. 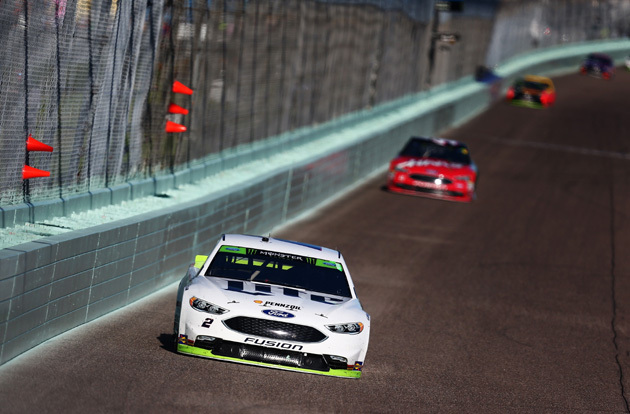 See the complete race results for the Ford EcoBoost 400 at Homestead-Miami Speedway here. 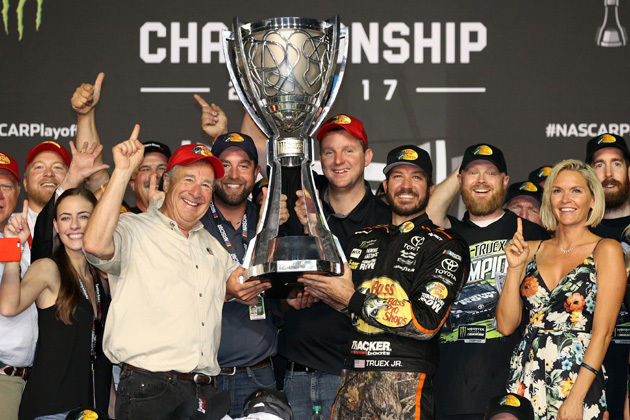 Martin Truex Jr. ends the season as the leader in the NASCAR Cup Series point standings and is the 2017 Champion. Kyle Busch claims the runner-up spot followed by Kevin Harvick and Brad Keselowski in third and fourth place respectively. Chase Elliott ends a great season where he just missed getting his first win several times as the fifth driver in the point standings. 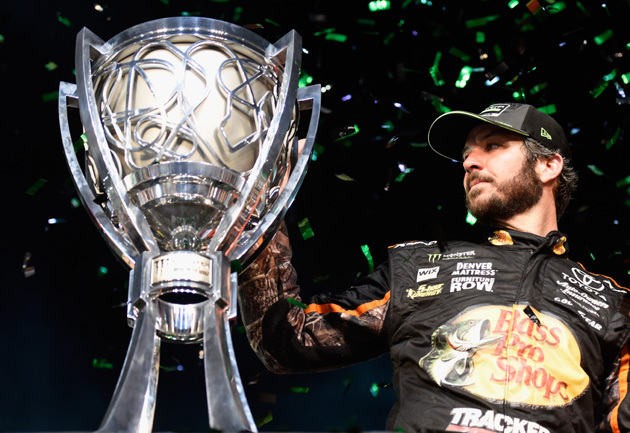 See the complete final standings for the 2017 Monster Energy NASCAR Cup Series here. 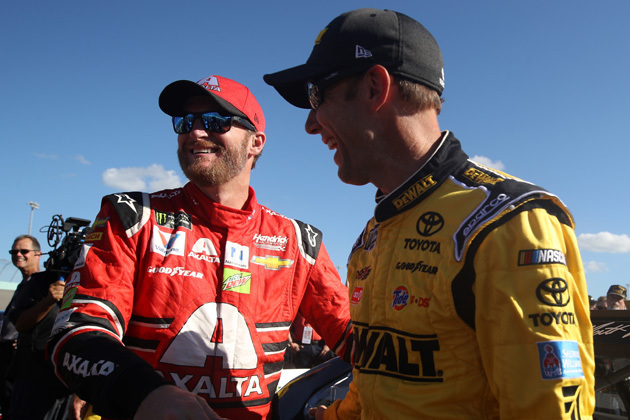 The drivers and teams will enjoy some time-off and begin preparing for the first race of the 2018 season, the Daytona 500 Sunday, February 18th.